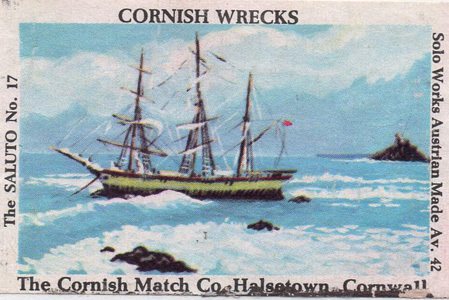 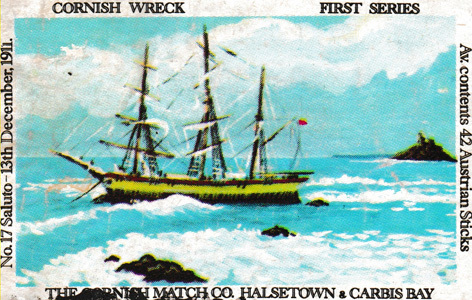 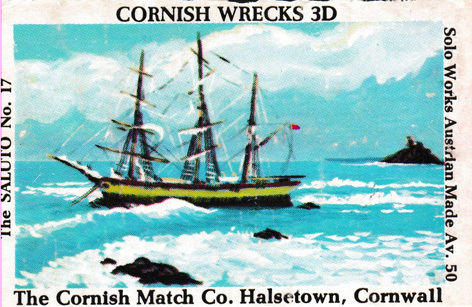 In distress in Mounts Bay in a SE gale. 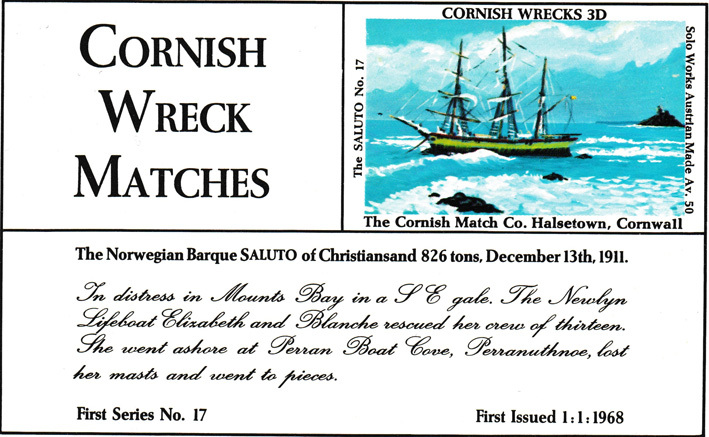 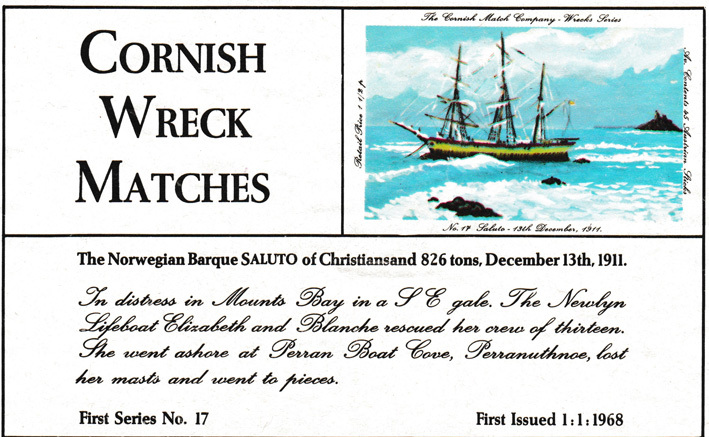 The Newlyn lifeboat Elizabeth and Blanche rescued her crew of thirteen. 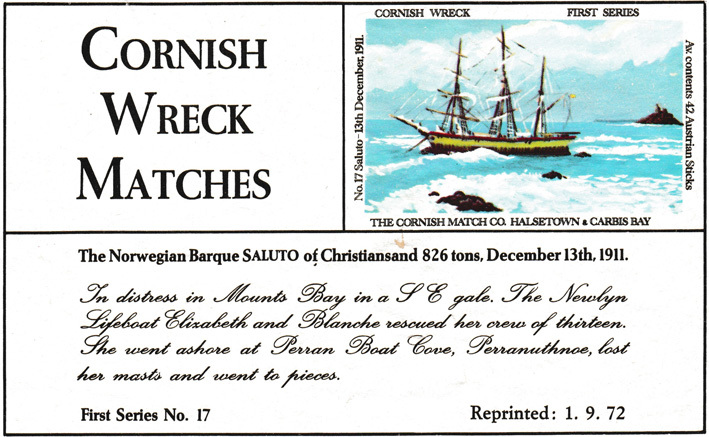 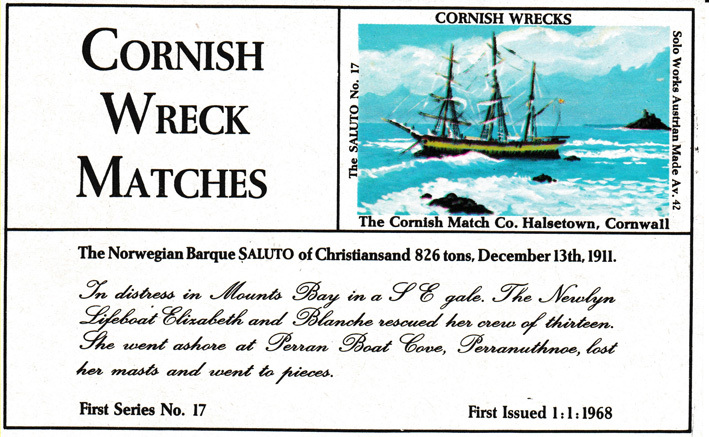 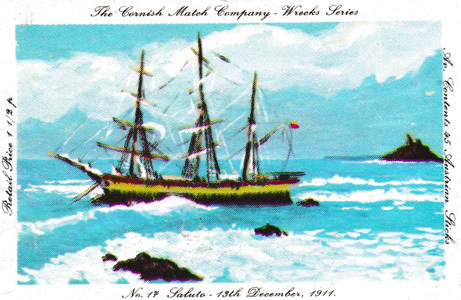 She went ashore at Perran Boat Cove on 13th December 1911, Perranuthnoe, but lost her masts and went to pieces.